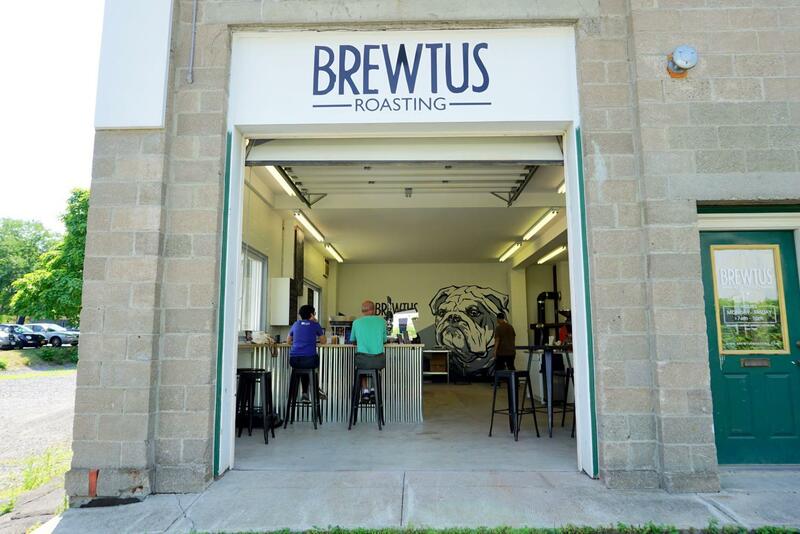 We got a chance to stop by Brewtus Roasting Co. in Delmar on Wednesday, a relatively new coffee spot tucked into a space between Delaware Ave and the Helderberg Hudson Rail Trail near the Four Corners. 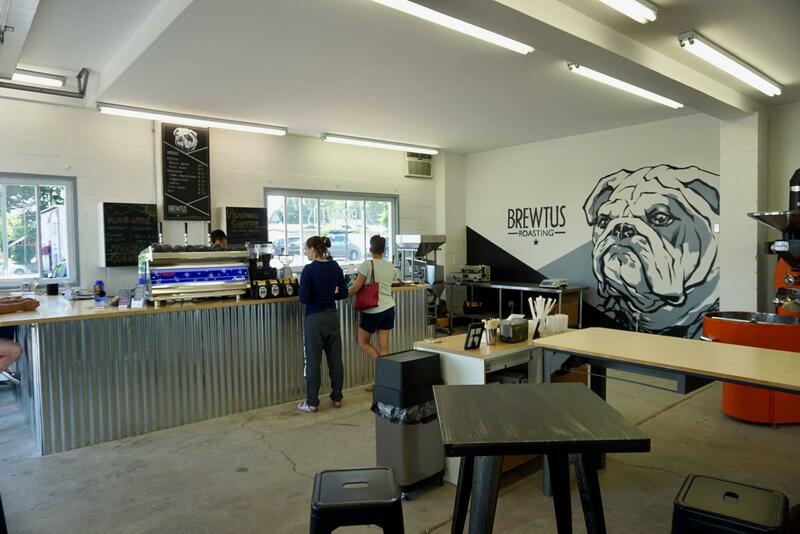 Brewtus was formerly called Barkeater and based in East Greenbush. Owner and roaster Stephen Pivonka changed the name last fall, and opened the Delmar space this past April. He'd already been selling his products at the Delmar Farmers Market and said he was getting requests for a spot in the hamlet. The town of Bethlehem also chipped in a grant to help the move. The other draw: Brewtus is in the same building with the Real McCoy Beer Co. and the Royal Meadery. 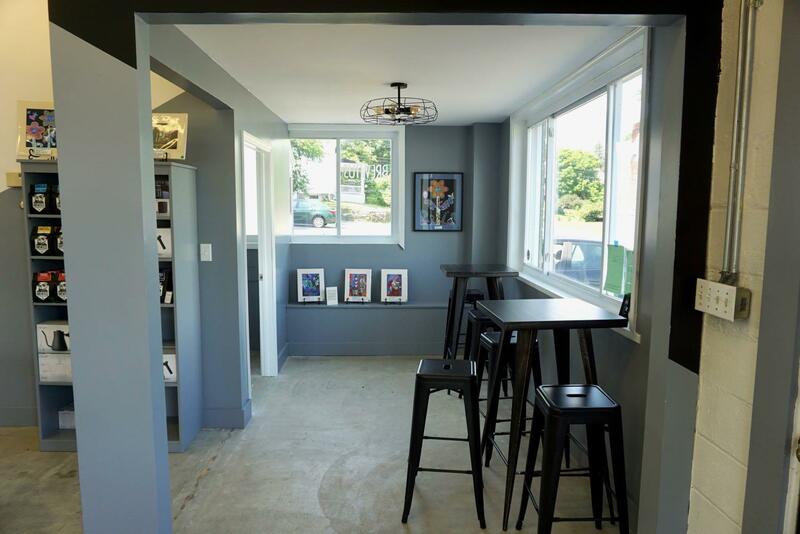 "With the brewer and the meadery here, it's three craft beverage places right in the same place. Now it's a destination and not just some weird coffee shop off the beaten path," he told us between serving cafe orders around noon. 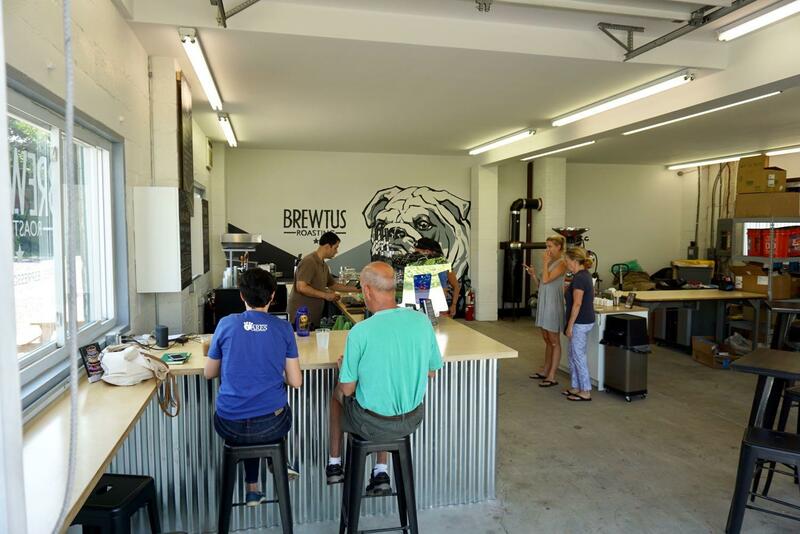 "I've had a lot of customers who said they'd been by the brewery and saw us here. It's been going really well." 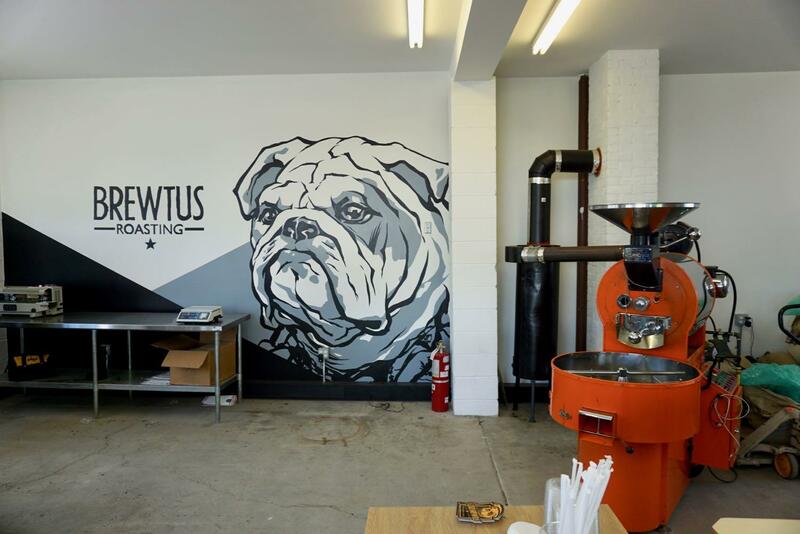 Roughly half of the Brewtus space -- which features a large garage door that's open during nice weather -- is cafe, and the other is dedicated to roasting and packaging coffee. Pivonka said the wholesale side of the business is supplying restaurants, cafes, supermarkets such as Honest Weight and Healthy Living, and specialty stores. "All of my production is happening here, so I'm usually pretty busy here." He's also continuing to sell products at the the Delmar Farmers' Market on Saturdays. The cafe is currently open Monday-Friday from 7 am to 1 pm. 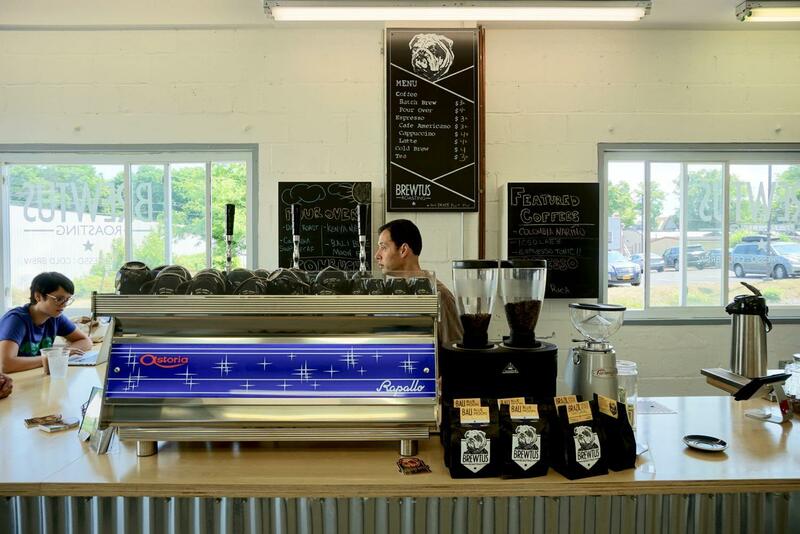 It serves both batch brewed and pour-over coffee, espresso, cold brew coffee, and tea. And there's also roasted, packaged coffee for sale. There are a few photos at the top in large format if you'd like to have a look -- click or scroll all the way up. 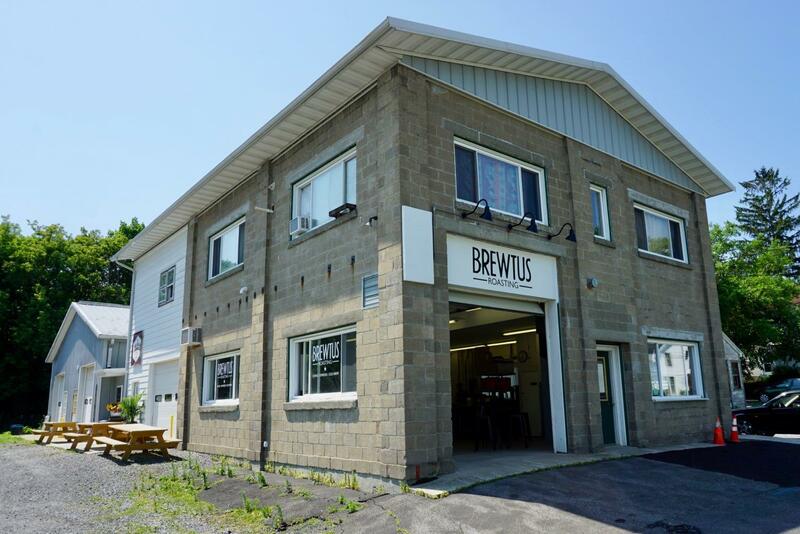 By the way: The building that Brewtus occupies is kind of tucked away off Delaware Ave on on a street called Hallwood Road near Curtis Lumber. But it's also just about 700 feet off the Helderberg Hudson Rail trail, via Grove Street and an informal path from the trail. And that highlights how there are some opportunities for local connections along the trail, providing destinations for trail users and customers for local businesses. 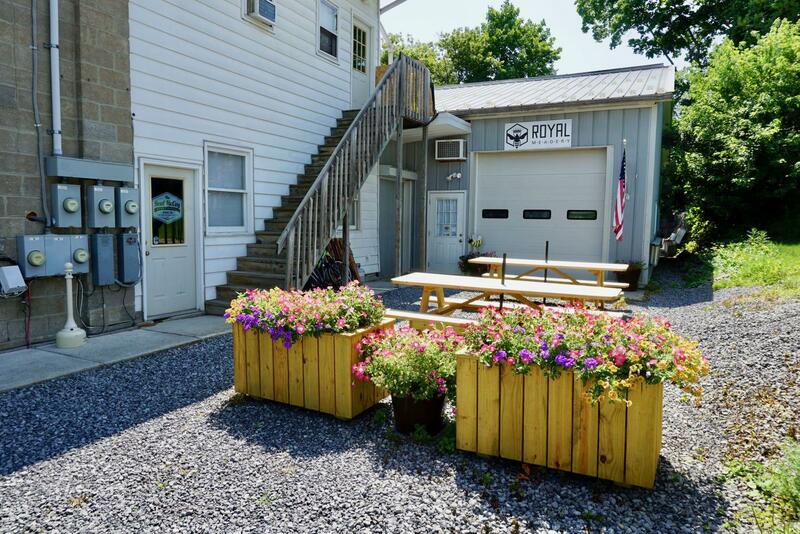 As it is now, you have to already know that Brewtus/Real McCoy/Royal Meadery exist, where they are, and how to get there if you're traveling along the rail trail and might like to stop. So maybe some sort of directional signage along the trail is worth thinking about. For some reason the top photos are not showing up? There’s a small cut through from the rail trail by Curtis Lumber. We’d like to see signage directing people on the trail to this great little trifecta of the meadery, brewery and roastery. We thought to call it Delmar’s Beverage District or something to that effect!! The point being, wed love to see signage on the trail so people know where to pop off for a drink!! Or just a sign that says “exit here for: “ these businesses. @Shawn: Erf. It's fixed now -- the photos should be visible. Thank you for the heads up. @Jen: "Exit here for..." signs would be great at a few spots along the trail.